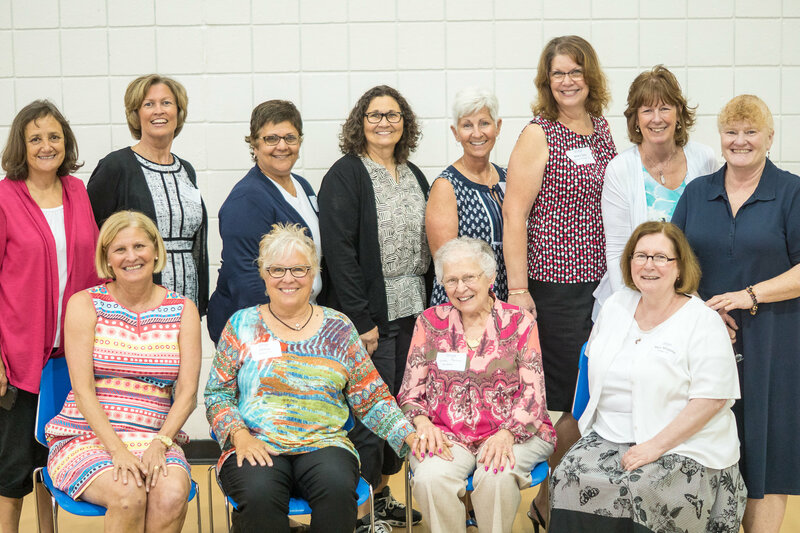 Mercy High School and the Alumnae Council regularly host events to connect and engage with our alumnae and advocate for Mercy students. You are always welcome to join us! For more information about upcoming events to to RSVP for an event, email Roz Parr '09 or call (402) 553-9424. Join us for a rosary and light refreshments every month. The list of dates can be found here. Alumnae are invited to a special preview performance of Into the Woods on Thursday, April 25. Join us for the performance and treats at intermission. Each alumna is welcome to bring two guests. Register here. Gradutes from the St. John's, St. Mary's, and Mercy classes of the 1950s are invited to join us for lunch and a school update from President Sr. Delores Hannon, RSM. Lunch will be from 11 am - 1 pm on May 7 at Anthony's Steakhouse. Register here. All alumnae are invited to join us for a morning of soccer on June 1, 2019 from 10:30 am until noon. No matter your skills, we'll have a great time! Register to play here. Mark your calendar for the annual All-School Reunion on Sunday, June 2, 2019. Join us for Mass at 9:00 am in the Our Lady of Mercy Chapel followed by a complimentary brunch. Reservations are required. RSVP here.